Large Drum Bund for up to four drums or combination of drums and various smaller Jerricans. 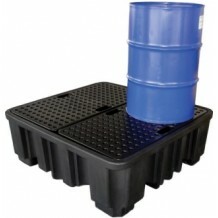 Heavy duty with large capacity sump. Colour:- Bund Black, Platform Black.